The Indian subcontinent is visible at the lower part. The Himalaya is the row of snow covered mountains. It merges with the Karakoram in the west. 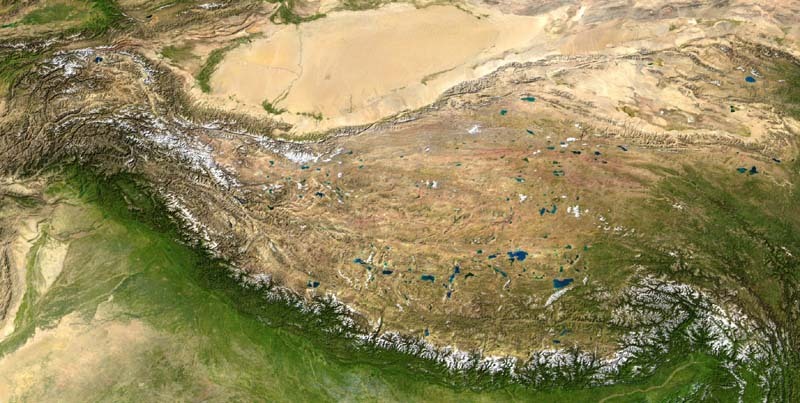 The Tibetan plateau is void of snow, clearly visible are the blue lakes. Further north is the Taklamakan desert. The oasis Kashgar is at the western end of the depression within the green area. In the lower map our route is marked red.